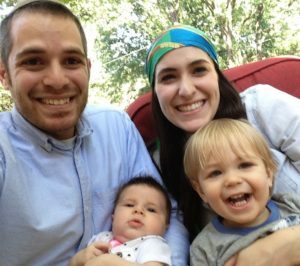 Rabbi Shaya and Rikki Katz recently moved to Kansas City with their son, Dovi (2), and their daughter, Elka (1 month), from Riverdale, NY. Shaya was born and raised in Baltimore, MD and Rikki in Chicago, IL. Shaya went to Yeshiva University for his Ordination, where he also recently completed his degree in Social Work. Rikki, with her degree in biology from Yeshiva University, hopes to pursue a career in sonography. They both look forward to enriching Jewish life here as part of the Kansas City Community Kollel. They are excited to meet the wider Jewish community of Kansas City through informal learning opportunities at an office or home, in a class setting, or even one-on-one. Please introduce yourself! To learn about the previous Kollel Rabbis, Click Here.